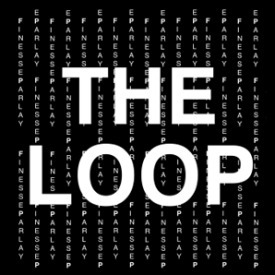 The rapper and showman from the Bronx area of New York City known as Finesse Parlay has released his latest official single, titled, “The Loop.” The song has been published with a corresponding new Finesse Parlay music video. Both have been released on the Europe-based S2N music records label (Second to None) which in addition to the talents of Finesse Parlay, features such artists as 24 Se7en, Stellanova, Oggie and Dani-Vi. “The Loop” is the most significant event for Finesse Parlay fans since his previous releases of “Histoic” and “Parlayism.” His new video, “The Loop,” was shot on location at the famous HMR Studios, known worldwide for being the setting of Beyonce’s popular “Mirrors” video. Finesse Parlay cites as main artistic influences Kanye West, Kid Cudi, and Drake. Additionally, his music often recalls hit releases by artists such as Pharrel Williams and OutKast. This should not be surprising to fans of the East Coast hip-hop sound, particularly that of the Bronx area, which often differs in dramatic ways from rap born out of Brooklyn or New Jersey. Legendary hip-hop musicians from the Bronx include Big Pun, Melle Mel, Swizz Beatz, Lord Tariq and KRS-One, among countless others. Finesse Parlay is 22 years old. He has been writing and performing urban poetry in New York’s Bronx borough since he was just 14. His early style still serves as a solid foundation for his present-day material, the tone of which is often described as having attributes of hip hop and alternative music. This unique mix makes his inimitable brand of hip hop accessible to a much broader range of music listeners than is usual for rap artists, traditional DJs and MCs. Finesse Parlay’s loyal following includes listeners of rock, pop, rap, electronica and hip hop alike, and then some. “The Loop” by Finesse Parlay is available online worldwide.